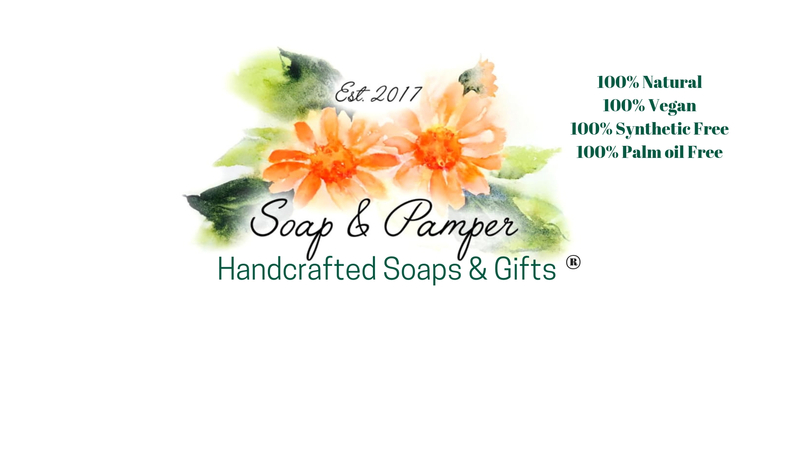 Soap & Pamper is an ethical, artisan business which makes soaps, shampoos and vegan skincare products out of natural ingredients. Hi I’m Debs and I make soap, shampoo bars & skin care products for people who care what goes on their skin. They are free from animal cruelty, palm oil, synthetics & plastic. Is this something I have always wanted to do? No. I used to be a teacher! So, what is my story…well, as a teacher I used essential oils as an aid for relaxation. I bathed in them, paid for massages using them and along with yoga managed to keep sane for about 25 years of teaching. One day, I suddenly realised my life was a simple cycle of sleep, eat, work repeat. It wasn’t healthy. I loved working with young people and teaching but it was time for me to think of myself. At this time redundancies were becoming more frequent due to changing demographics. As I taught an option subject I found myself in the situation where I could opt to leave, and so I did. Making soaps was John’s idea. John is my soulmate and best friend. We romantically hand make each other a gift at Christmas and this particular year, the first Christmas after I’d taken redundancy, he made me some soap. It was beautiful and made my skin feel so lovely that I wanted to know what ingredients went into it. This was where my passion for soaps started. I started to research how soap is made, what the different oils and butters contributed to the soap and how chemicals & synthetics could be avoided. Two years later, after more research and more practice making soap, I had created 8 recipes of differently scented soap which I was excited about. The essential oil blends lasted and the colours are as natural as the other ingredients – Soap & Pamper was created. As well as the soaps being natural and environmentally friendly I wanted the packaging of my soaps to be as ‘green’ as possible. Therefore wherever possible I use recycled brown paper and boxes to wrap your goods in and reuse envelopes or bubble wrap to protect them on their journey to you. This means that the packaging will differ slightly from order to order, but rest assured the quality of the product will remain the same. I hope you enjoy using my products knowing that they are made by me, from scratch in my kitchen in Plymouth Devon, with all natural ingredients and lots of TLC. My soaps are designed to be used everyday, they are what I call a ‘little piece of everyday loveliness’. With this in mind, please don’t put them in your knicker drawer, use them while the essential oils are still fresh…I promise I will make more! !